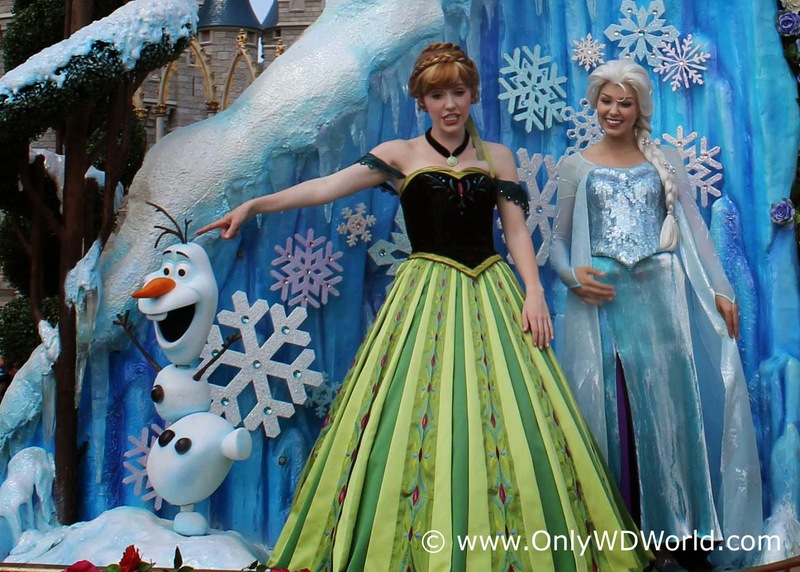 Home � Disney World Vacations , Disney's Hollywood Studios , Frozen , Hollywood Studios � Frozen Takes Over Disney's Hollywood Studios This Summer! Frozen Takes Over Disney's Hollywood Studios This Summer! Fans of the hit animated movie "Frozen" are in for a spectacular summer treat at Disney's Hollywood Studios. Anna, Elsa, Olaf and their friends are taking over Disney's Hollywood Studios starting July 5th for an incredible summer of Frozen themed fun! Sing-A-Longs, Royal Welcomes, Special Olaf Summer Treats, and nightly fireworks are just part of the new fun to help make your Florida summer vacation a whole lot cooler! The snow glows white on Walt Disney World this summer, when “Frozen Summer Fun: Live at Disney’s Hollywood Studios” kicks off on July 5. Through September 1, regular theme park admission will include a ride range of all-new Frozen-themed experiences that guests are sure to love. Olaf on Summer Vacation – Olaf the snowman is having the time of his life on his very first summer vacation! He chimes in throughout the day to keep everyone updated on all his adventures. Plus, you can pick up your very own Take-Along Olaf from locations in the park, so he can join you on your summer vacation. And when you share your photos with Olaf on social media, be sure to tag them with #OlafSummerVacation. They may just get selected to appear in that day’s grand finale! Anna and Elsa’s Royal Welcome – At 11:00 a.m. each day, Elsa and Anna arrive in Hollywood as part of their goodwill tour of neighboring kingdoms, making their way down Hollywood Boulevard in a horse-drawn sleigh. Kristoff is along for the fun, too, joined by a flurry of skaters, skiiers, ice cutters and more! The entire procession culminates in a special moment at the Sorcerer’s Hat Icon Stage to officially welcome the visiting royalty to this kingdom of Hollywoodland. Wandering Oaken’s Trading Post & Frozen Funland – Inside Soundstage One, Oaken and his cousins have created a Frozen Funland filled with cold weather activities, unique photo opportunities, and more! There’s a frozen pond with ice skating demonstrations, wintertime fun for kids in the “Do You Want to Build a Snowman?” play area, a “big summer blowout” with plenty of “Frozen” merchandise, and special “Frozen”-inspired food and beverage offerings. “Coolest Summer Ever” Dance Party – Starting at 5:30 p.m. each day, a dance party takes over the area around the Sorcerer’s Hat Icon Stage, with a DJ, live band, and more! The band plays a variety of classic and contemporary summer rock & roll hits, as well as a cool, rocking medley of “Frozen” favorites. It’s going to be hot! Frozen fans, sound off in the comments about which activity you’ll be checking out first when you arrive at Disney’s Hollywood Studios this summer, from July 5-September 1! 0 comments to "Frozen Takes Over Disney's Hollywood Studios This Summer!"